Patients with chronic obstructive pulmonary disease (COPD) who are receiving home oxygen have a higher risk of burn injury, according to researchers from the University of Texas Medical Branch at Galveston. This study was published on March 30 in Mayo Clinic Proceedings. For their study, the researchers looked at data from Medicare beneficiaries from 2001 to 2010. The nationally representative sample contained 2,055 patients with COPD that did not sustain a burn injury and 685 patients with COPD that did suffer a burn injury. Although oxygen can be ignited via a heat source or fire, an estimated 15 to 25 percent of COPD patients who are prescribed oxygen therapy continue to smoke. According to a news release from the university, the study found that patients with a burn injury were more likely to have been prescribed oxygen therapy within 90 days before the injury compared to patients with COPD that were not prescribed oxygen. The investigators said the burn injuries frequently involved the face, neck or hands. Additionally, patients who had sustained a burn injury associated with home oxygen had a 10-fold greater mortality rate than patients with COPD and no burn injury. However, researchers said, oxygen therapy was still beneficial. 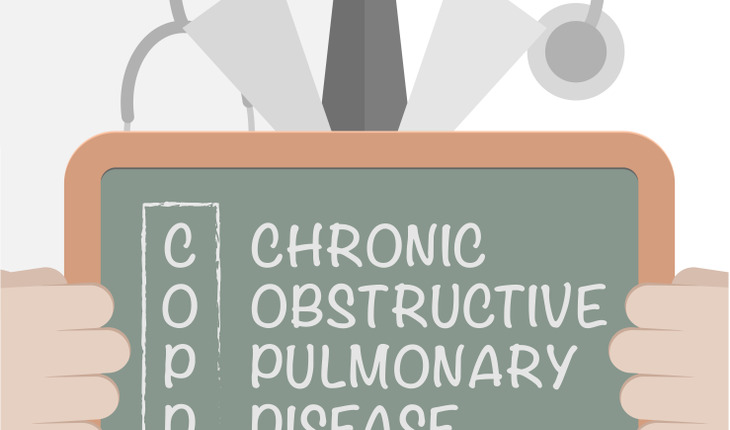 “The benefits of oxygen in COPD patients outweigh the modest risks of burn injury,” said Dr. Alexander Duarte, senior author and professor in UTMB’s internal medicine division of pulmonary critical care and sleep medicine. “[But] health care professionals should educate and counsel patients and their families on the potential risk of burn injury and attempt to decrease this risk before prescribing home oxygen therapy.